The next time you see an incredible Kelly Slater GoPro, clip it could be live. GoPro just announced a partnership so obvious it’s surprising it didn’t happen earlier. You can now live stream the epic tube rides you capture on your action camera via Periscope, Twitter’s live streaming video service. If you’re going into the water, however, you’d better get a waterproof case, because you’ll still need your iPhone close by. You need to connect your GoPro Hero 4 to your iPhone via Wi-Fi, and then set Periscope for iPhone to broadcast. Next, a GoPro button will be highlighted in the app; tap that and you’re live. GoPro’s new Periscope integration isn't available for Android. Why this matters: GoPro said it enabled this feature after seeing people put their phones in precarious positions, such as launched on balloons or plunged underwater—situations that are perfect for the rugged, waterproof GoPro. But really, this is more about an ideal partnership that will benefit both sides. Action sports fans love watching GoPro footage, most of which is edited after the fact. 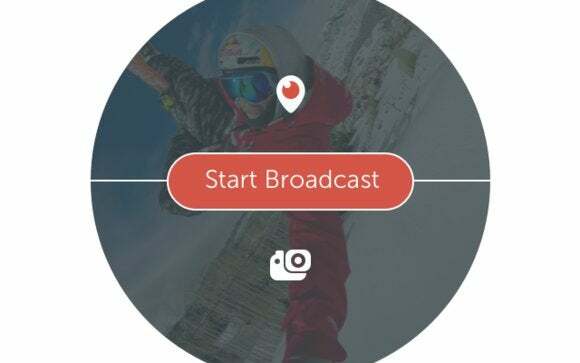 The opportunity to see top surfers, snowboarders, and daredevils work their magic live could win over more Periscope users who then go out and use the service themselves. GoPro and Periscope are also working together to bring top-level sports to Twitter’s services. During the X Games in Aspen this week you’ll be able to watch live broadcasts on Periscope via GoPro cameras. You won’t get to experience any competition moments on Periscope, but you will see a few interesting complementary video moments. On Wednesday at 2 p.m. ET/11 a.m. Pacific, for example, snowboarder Jamie Anderson will take viewers on a live course preview. There will also be live chats, behind the scenes moments, and other course previews. Check out GoPro’s site for more information.